Do you have a hill in your yard, but you cannot do anything with it due to the fact that you’re unsure of what the best solution is? This is when finding a qualified professional that can do a MN landscape design for you to create the perfect hillside that meshes with your home, garden, and yard as a whole. Not only that, but by using the hillside, you can expand on the yard and make it more useful with more space to roam. Plan and consider things throughout the process. You want to know if you have drainage problems, if there are items on the hill that you have to work around, and can you easily mow the area? Taking the time to plan it out with us can better the success that we have when transforming the hill when putting together the MN landscape design. Stairs can be a useful addition if you would like to go down the hill; if you’d rather not, then adding hardscapes into the design can be an option. Larger boulders and stones can provide a serene feeling around the hill, while also adding safety and stopping soil erosion. 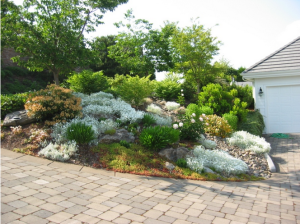 Drainage might be an issue with the hillside, but hardscapes can be useful when it comes to stopping that drainage and having it flow where it needs to. 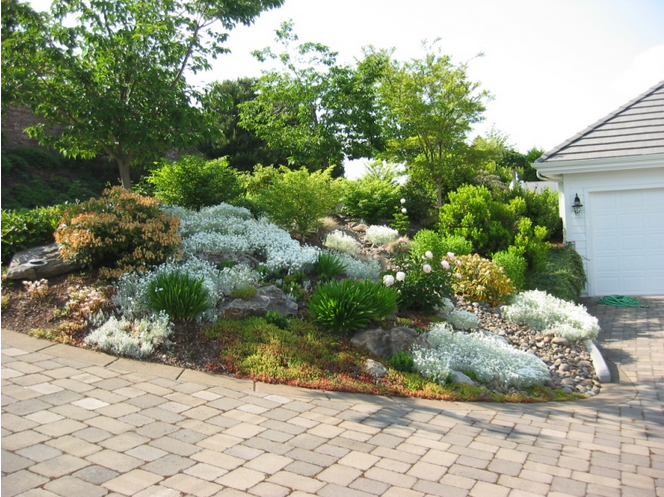 With our professional landscape contractor in Minneapolis, your hillside landscape design will become a reality. Speak with us more if you’ve got a desire to create the perfect, customized plan for your hillside. Add beauty, wonder, and expand on the land that you own when you do something with the hillside. It is no longer useless or hopeless. We understand hills and we will make the most out of yours. We can help you turn what seems to be a major drawback to your property into one that’s a major draw for the eye. We’ve got lots of creative solutions – let’s talk about them for your yard.